Off the beaten track, Zambia is a destination for those who want their Safari experience with a true wilderness feel. 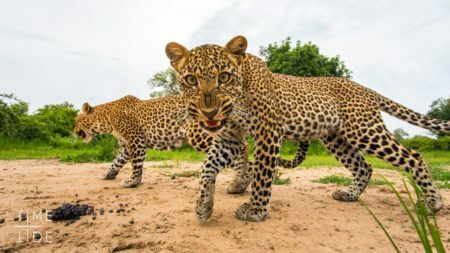 Taking a safari in Zambia offers a phenomenal variety of wildlife, and a low volume of visitors. 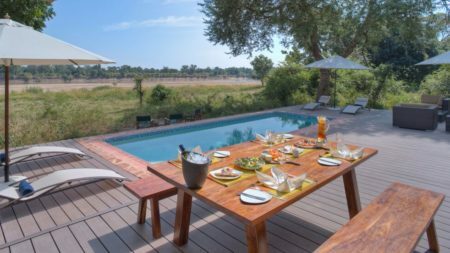 Zambia’s famous parks include the South Luangwa National Park, a stunningly beautiful area centred on the meandering Luangwa River and its lagoons. Concentrations of game are amongst the most intense in Africa and it is renowned as the place to see leopard. The river teems with hippo and crocodile and provides a lifeline for one of the greatest diversities of habitat and wildlife, supporting more than 60 species of mammals and over 400 species of birds. One exciting success story of recent years is the resurgence of the African Wild Dog population in South Luangwa. Over the past decade numbers have strengthened considerably and today, although far from guaranteed, sightings of wild dog are common. 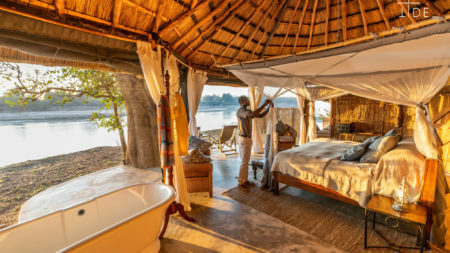 In the Lower Zambezi National Park you are guaranteed plentiful Elephants & Hippos, as well as the opportunity to fish, canoe or just laze on a deck and watch adventure unfold. 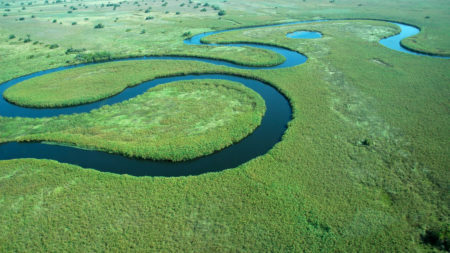 Wild & remote Kafue National Park is only accessible for 5 months of the year due to it’s annual floods. 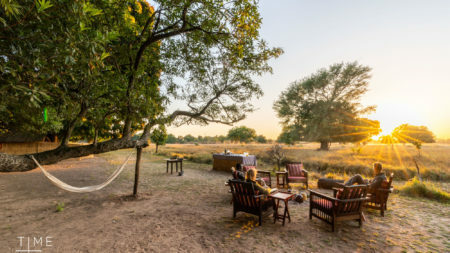 With plentiful game species such as Puku, red lechwe, Lichtenstein’s hartebeest, oribi, buffalo and wildebeest Kafue is renowned for some of the best Lion viewing in Africa. 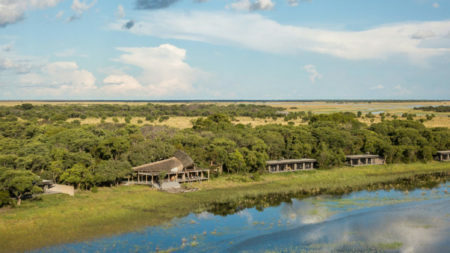 The vast and remote Liuwa Plain National Park is one of Africa’s last untouched wilderness areas situated on the upper Zambezi floodplains of western Zambia. It’s the only national park in Zambia where people live inside the park, and the seasonal migration by boat of the Lozi from their fishing villages is a spectacle to rival the wildlife. 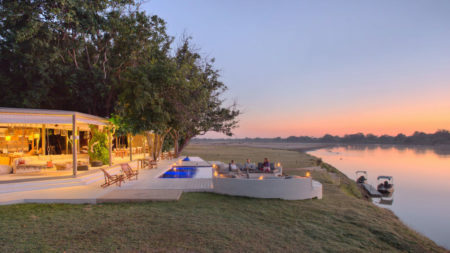 Walking safaris in South Luangwa – Zambia is famous for it’s walking safaris, and the quality of guiding is exceptional. Walking allows the traveller to really connect with the smells, sounds and small things in the bush. You’ll become obsessed with the Little Five, or even the Green Five! 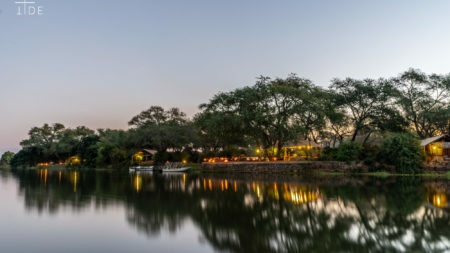 Boating or canoeing on the Zambezi – get a different perspective on Elephants & Hippos while you sip a sundowner. The photo opportunities are outstanding. Adventures at Victoria Falls – white water rafting, helicopter rides, bungee jumping are just some of the activities on offer for adrenaline junkies. Alternatively, marvel at the view while taking a stroll along the edge of the famous Mosi oa Tunya, (Smoke that Thunders), just don’t expect to stay dry! The summer months are when the most rain falls. Temperatures range from 31-35 max, down to around 20-23 min at night. It typically stays fairly cool in the evenings and at night until around the middle of September. Temperatures during the day reach an average of 28-32 degrees, falling to an absolute minimum of around 11 or 12 degrees at night. From the end of August until the first rains come in around the middle of November it gets hot. From the end of September temperatures reach an average of 36-38 degrees in the middle of the day and fall to around 18-20 at night. After this time until the rains come temperatures can rise to a maximum of around 42 degrees, only falling to around 26 degrees at night.